Pacific Coast APPA is the Western Region of the parent organization APPA, Leadership in Educational Facilities. 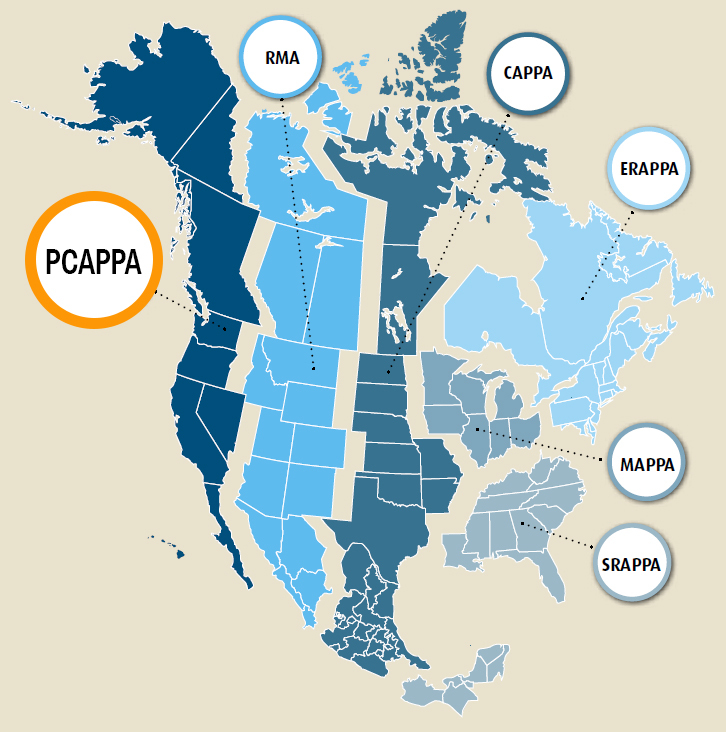 PCAPPA serves the states of Alaska, California, Hawaii, Nevada, Oregon, Washington, and the Canadian provinces of British Columbia and Yukon Territory. In addition, PCAPPA also serves American Samoa, Guam, and Baja California! 1. Develop and maintain quality, professional standards in the administration, care, operation, planning and development of the facilities and utilities infrastructures used by educational institutions. 2. Promote professional ideals and standards that serve the objectives of the education sector and its institutions. 3. Aid and supplement the work of APPA in the Pacific Coast Region and its chapters. 4. Schedule, plan and conduct an Education Conference and Annual Meeting and other such professional development programming that supports and promotes the above stated purposes. Formerly the Association of Physical Plant Administration, APPA is the association of choice serving educational facility professionals.